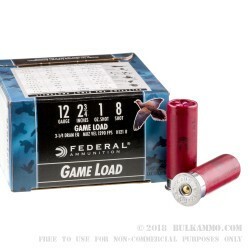 Great for a wide variety of sporting purposes, this 12 gauge Federal game ammunition comes in an economical 25-shell box. 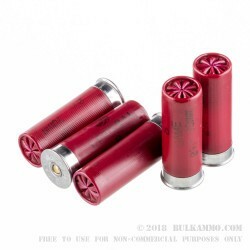 It fires 8 lead pellets (#8 shot) at 1290 feet per second, producing excellent accuracy to take down birds, small game, or sporting clays. Pick up a few boxes for a great afternoon of blasting away at the range or in the field. 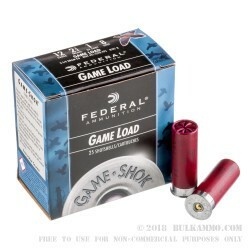 Federal Premium Ammunition is a well-known manufacturer of self-defense and sporting ammunition based in Anoka, Minnesota. 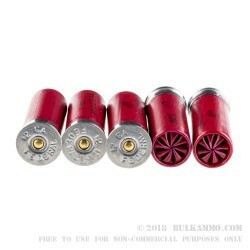 The company’s hunting offerings include Fusion and Game-Shok rounds as well as Truball shotgun slugs and Power-Shok shotshells and ammunition. Federal’s main production facility covers over 500 acres and employs nearly 1,500 people. The company also manufactures military-spec ammunition at the Lake City arsenal in Independence, Missouri.